Private Russian charter carrier iFly Airlines, which operates flights on behalf of Tez Tour, Tempus Tour, TUI and Russian travel agency Intourist-Thomas Cook, served a record number of passengers in 2018. For the first time in its history the airline crossed the one million passengers threshold, carrying 1.1 million, a hefty 40 per cent increase on its 2017 performance. Last year iFly operated a total of 4,500 flights, 35 per cent more than in 2017 and the target for this year is at least another 40 per cent growth, the airline’s spokesman told Russian Aviation Insider, adding that, to achieve the goal the operator is opening new routes and bringing in additional aircraft. 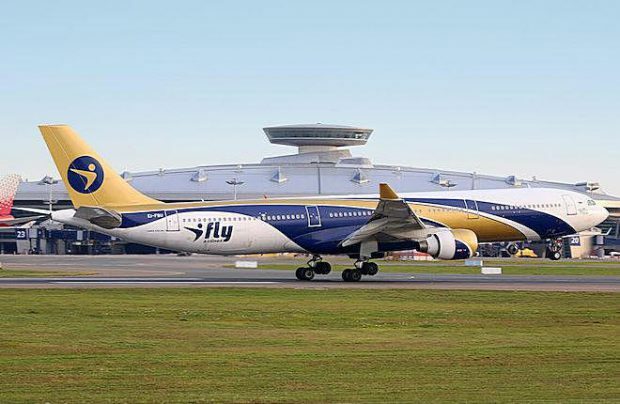 iFly currently operates a nine-strong fleet of two Airbus A319s and seven A330s. It has recently phased out the last of its Boeings, a B757-200. That aircraft, with tail number EI-CJY, left the private airline on December 29. The airline is currently in negotiations with a view to adding more Airbus aircraft in 2019, but remains tight-lipped about the exact type or the number of aircraft it is considering. It is a question of finances, the spokesman admitted to Russian Aviation Insider. “Naturally, we are interested to add airliners with larger capacities, because we are expecting our traffic to grow. But it depends on the contributions that our partner customers bring to the table,” he said. Founded in 2009, iFly Airlines is under the control of Alexander Burtin, who is also the head of the large travel company Tez Tour. A nine per cent share of the airline was acquired last spring by Silk Way, which is owned by Hong Kong-based Joy Tour Global Limited.